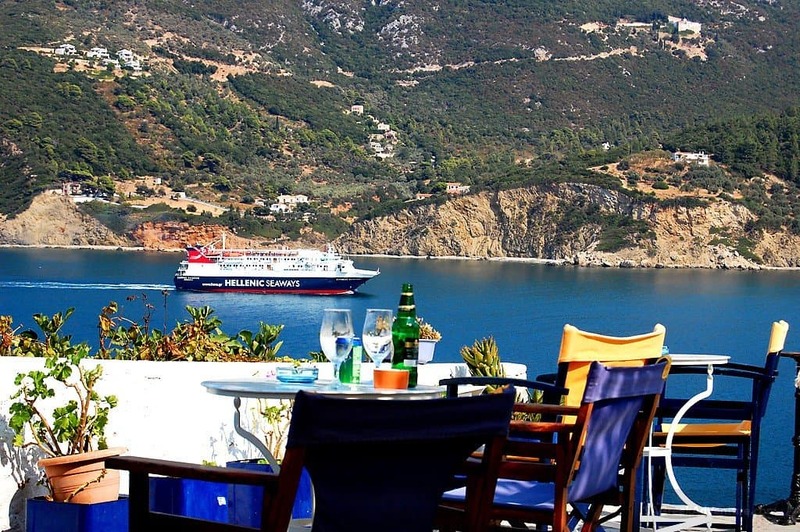 If there was just one place you could visit once in your life, you’ve got to see the majesty of Skopelos Greece. One of several islands off the coast of Greece, the quiet little area is packed full of sight-seeing opportunities. It’s a perfect destination for families, couples seeking a romantic getaway, or nature lovers. It is also called the Mamma Mia island. Learn why. 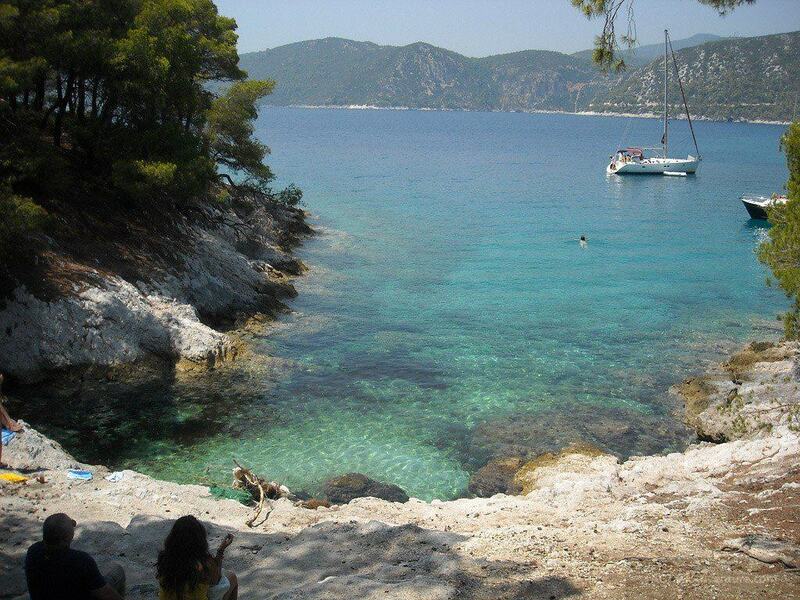 Skopelos is really close to Alonissos. Read this post. Imagine a long day of hiking and exploration only to relax at night in a tavern overlooking the seaside or at the sunset by the harbor. Tavern menus offer a wide variety of exquisite meal choices, including a traditional salad. Create a lifetime of memories you will forever cherish on this small (yet incredibly charming) island getaway. 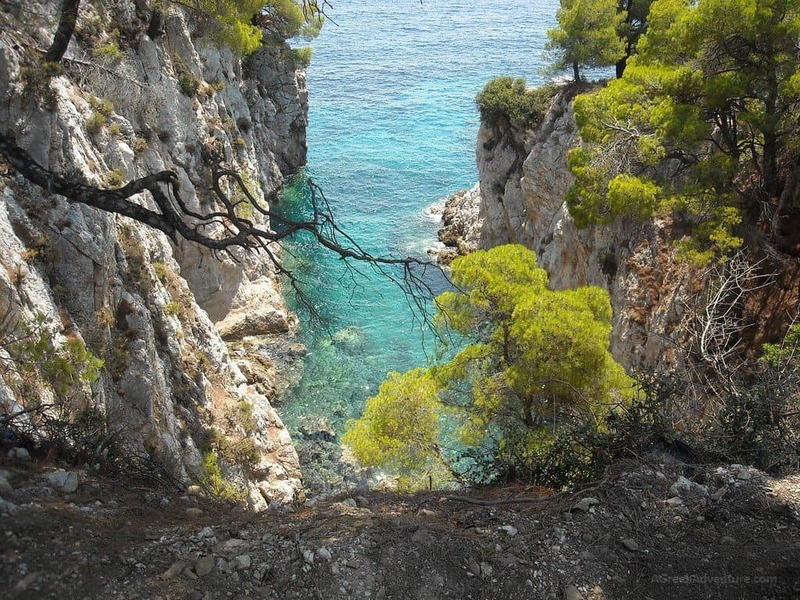 Things to do in Skopelos Greece include: hiking, swimming, walking in amazing green forests overseeing the deep Aegean blue. 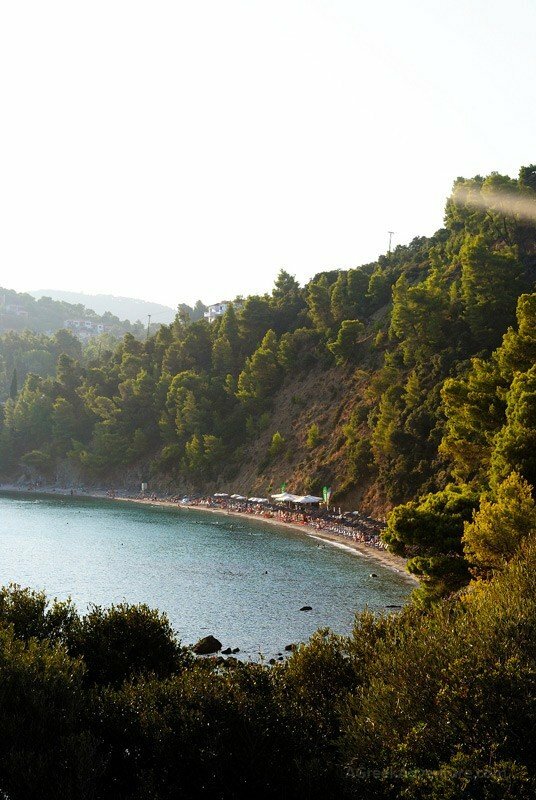 Amarantos Skopelos. The path leading there is not that good but the view is rewarding. 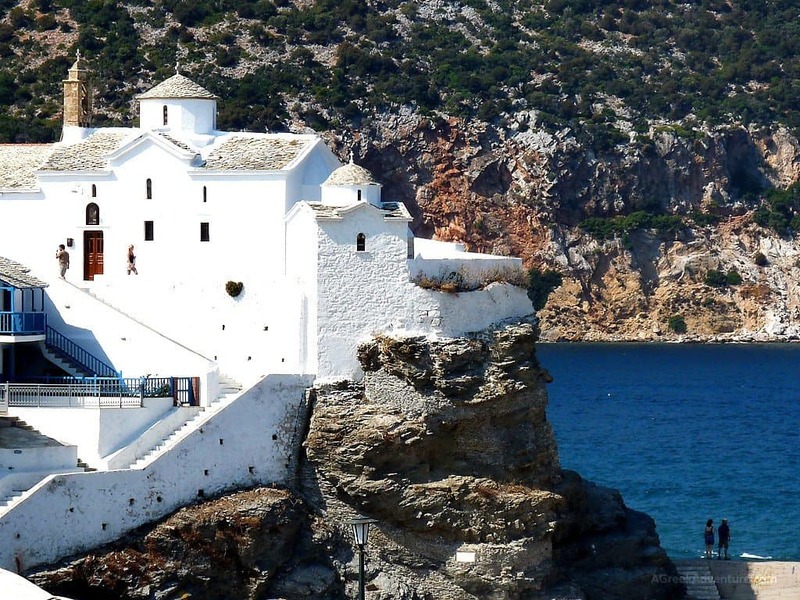 Walk in Skopelos villages, while exploring the artisan influence in the local pottery shops and multiple chapels scattered across the island. Hiking and walking enthusiasts will enjoy the narrow paths that mysteriously wander off to historic artisan shops, numerous chapels and dining locations. As much of the island is forest, nature lovers will bask in its wondrous beauty. If you’re lucky you may stumble into the Sendoukia Pirate Graves. It’s easy to miss so keep a sharp eye for the signs and don’t forget to wear your sneakers! Aeolos Hotel: Close to the main harbour, great views and balconies/verandas and an overall open space logic. Aretousa Studios & Apartments: Inside an olive grove. Studios and apartments are well equipped, spacious and great garden views. Sunrise Village Hotel: Close to town center (700mt), gardens, fantastically equipped with sea and garden views. 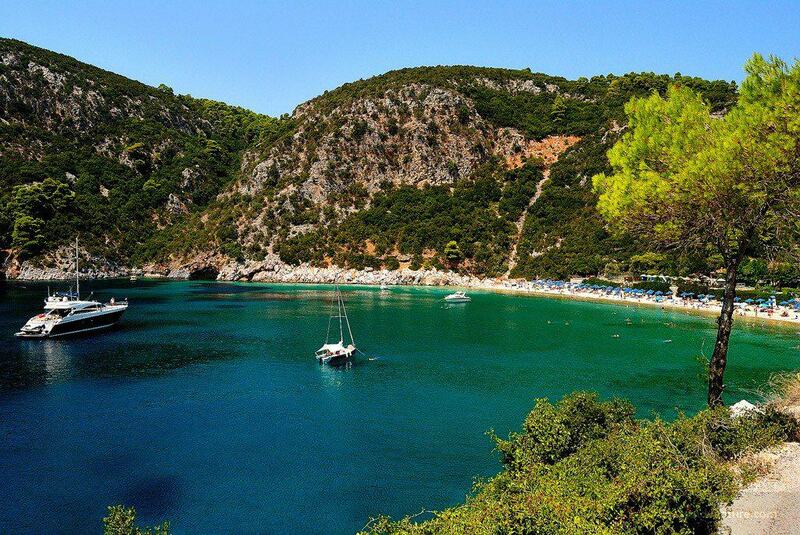 Adrina Resort: Comes with a semi-private beach, but not in Skopelos town (around 12km outside). Beachfront location with equal panoramic views. 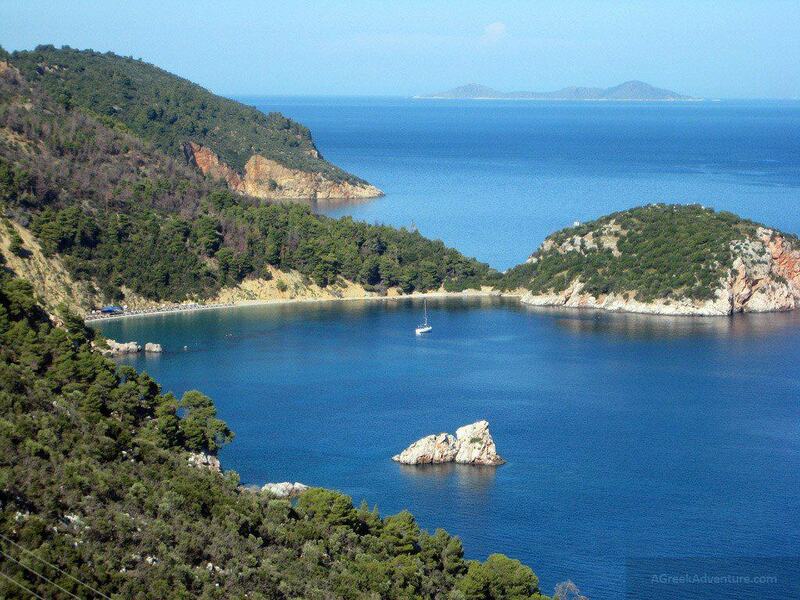 Afroditi Hotel: 11km from Skopelos town, small hotel next to Panormos beach, well equipped. 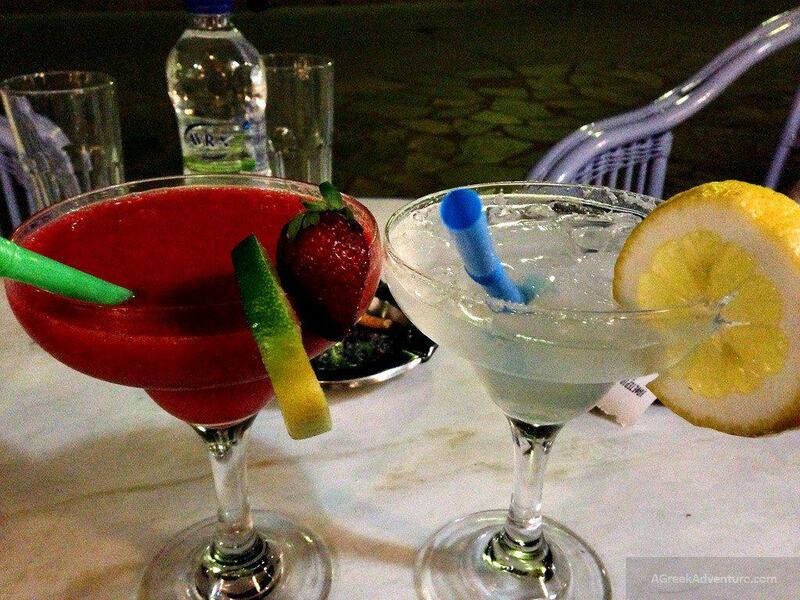 Hotel Selenunda: Located at Loutraki. Really nice furnished studios and apartments (even in balconies), close to the harbour. Mando Beachfront: As the name says, a beachfront hotel, good for families and not so expensive. Is close to Stafilos beach. 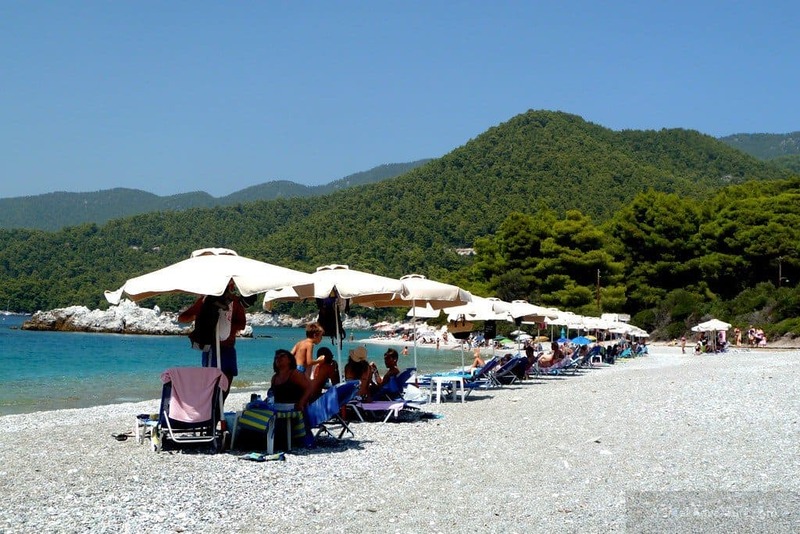 The famous beaches of Skopelos are: Panormos, Stafilos, Kastani, Hovolo, Milia, Agnondas, lios, Loutraki, Agios Ioannis, Glysteri, Glyfoneri, Velanio, Adrina, Armenopetra, Hodrogiorgis. 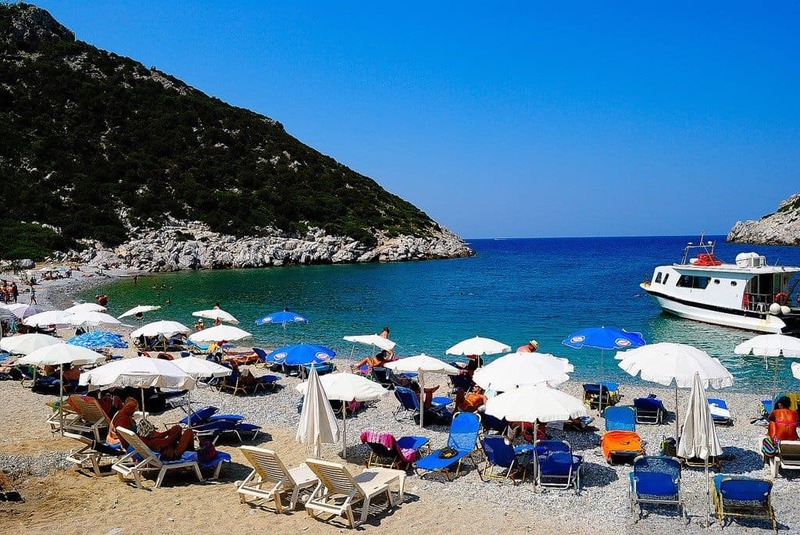 If you would rather not explore mysterious graves or soak in the sun at one of the myriad number of stunning beaches, Skopelos Greece also offers sea kayaking, canoeing, scuba diving, and stand-up paddleboarding. Soak in nature’s beauty while getting some exercise at the same time. After spending part of the day on the water, nab a private tour of the island or pay a visit to one of the local jazz bars. They have friendly service, spectacular views of the harbor, and stress-busting playlists to wrap up your evening (or evenings). July and August are the worst months for doing any sort of walking. The heat can be absolutely deadly in some cases so if you plan on doing any exploration on foot it’s best to aim for the cooler months when it’s safer to be outside. If you love being outside but would prefer to not hike or walk, there are many different rentals available for bikes, kayaks, buses, or cars. 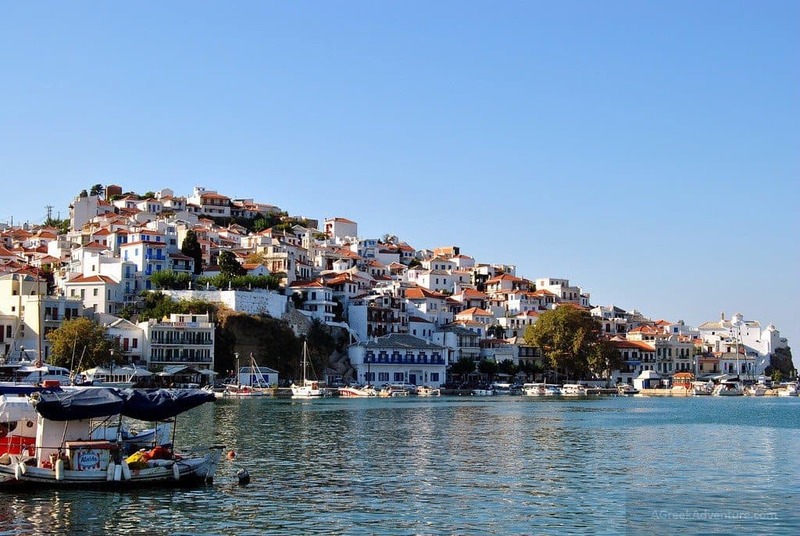 Skopelos is well known for its plums, honey and the “Skopelitiki” cheese pie. Skopelos island offers three different kinds of plums: the dessert plum, the sour plum, and the agen plum. The agen plum, the healthy French version of the plumb, was smuggled in with the help of a potato to hide it from view. Also worthy to note of the island food are the olives. Skopelos island olives are more large and juicy. Descended from the Olea Europaea, the olive was originally brought to Greece from Syria over 10,000 years ago. If beauty is what you seek, be sure to take a moment to bask in the breathtaking Byzantine monasteries: Agia Varvara and Evangelistria. Also pencil in a quick stop at Agios Ioannis Kastri. From the top of “Mamma Mia”. Be sure to note that the small church is not usually open but it is worth the time to see. If you travel in the evening you will have the added bonus of absorbing a most memorable sunset beyond the hill the church is stationed upon. Another church that you should take time to visit if you love art history and architecture is Panagitsa of Pyrgos. This old structure and architectural beauty has been dubbed the “most romantic” church. It is here you can choose to light a candle for the lost ones if you have the time. 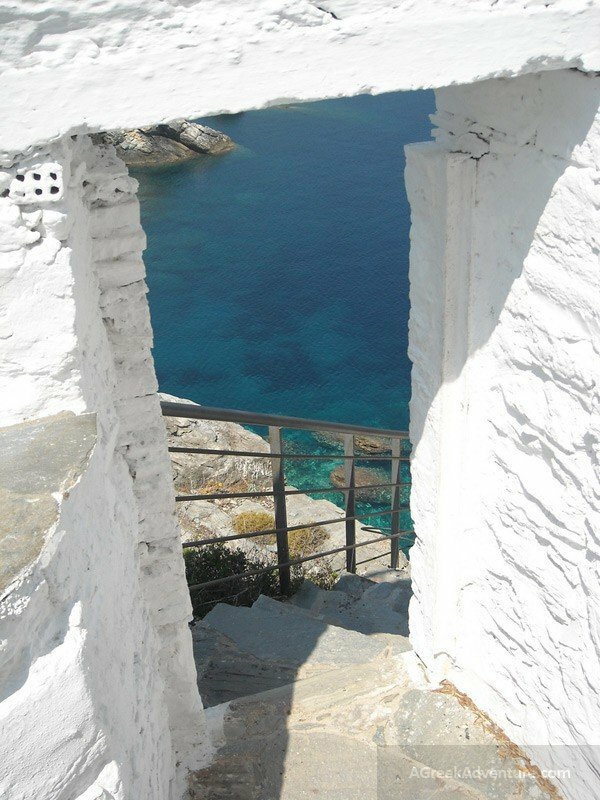 There is much to see in Skopelos island. It’s best to experience the small island over the course of a few days or a week. The memories you’ll take with you back home you’ll cherish the rest of your life. 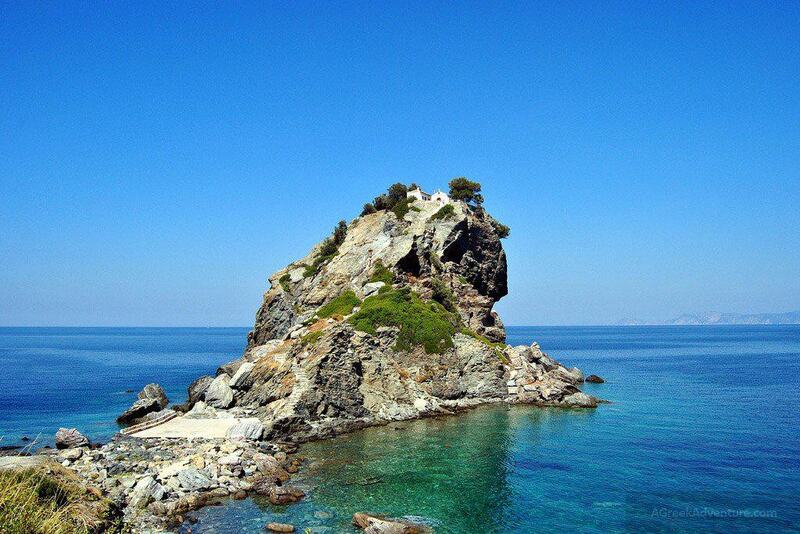 So grab your camera and get going to Skopelos island. 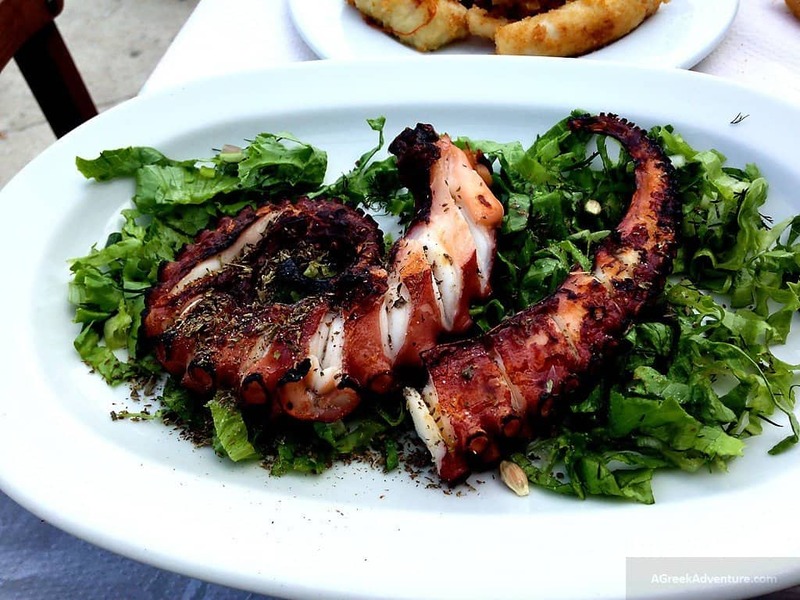 Photo credits: Christos Loufopoulos, John Karakatsanis, Alexandros, Stefanos Kofopoulos, Eva Freude, Dave A, Marco De Stabile, Giannis Arvanitakis, Sofia Gk, Daniele Magnani, MY PHOTOS 1000+.